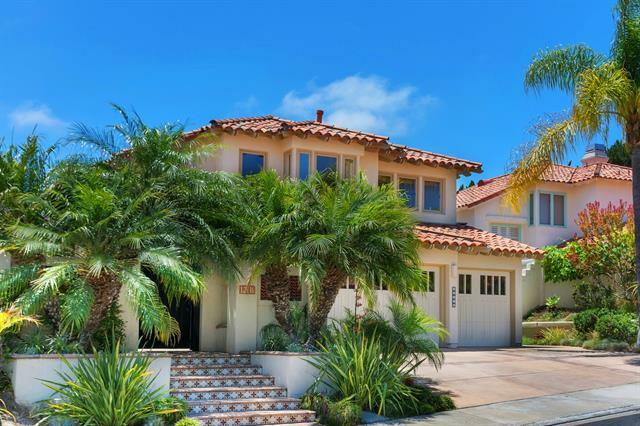 Santa Luz private guard-gated enclave is the picture-perfect setting for this showcase residence. Stunning coastal California architecture inspired by panoramic views and extensive features to capture your heart and imagination. Indoor-outdoor living is ideal for San Diego’s year round climate for treasured get-togethers with family and friends. Sold for 2,600,000. This single level Mid- Century modern reflects the simplicity and integration with nature. The home was designed with large pictures doors, windows and vaulted ceilings anchored by the polished concrete floors. The open- concept floor plan forges a connection with the natural surroundings and stunning pool, breathtaking ocean, bay and night light views from secluded roof top deck. Sold for $1,375,000. THE HOME & CUL-DE-SAC YOU'VE BEEN WAITING FOR HAS FINALLY HIT THE MARKET!! 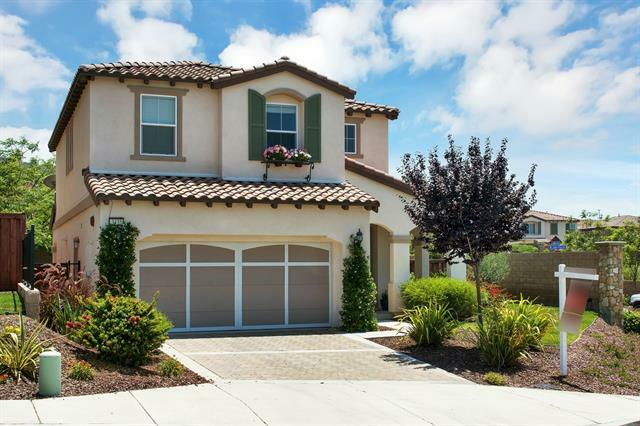 This model like home, IN THE HIGHLY SOUGHT AFTER MASTER PLANNED COMMUNITY OF LA COSTA VALLEY is move in ready! Step inside to an elegant entry w/impressive staircase, dramatic ceilings & the perfect foyer for holiday decorating! Upstairs features 4 bdrms & bonus room and downstairs offers a huge bonus room & downstairs bdrm suite! RELAX in the tranquil & PRIVATE bkyrd w/sparkling pool, spa, grassy areas, built in BBQ & more! Sold for $1,345,000. Look no further! This VERY special Heights Plan 2 has a remodeled and expanded kitchen and family room. Cul-de-sac location on an elevated, completely private, view lot with beautiful salt water pool, grassy play area and Southern exposure! Great curb appeal. This home boasts Travertine flooring, custom shutters, new carpet, raised living room floor, and 4 bedrooms plus an added study/office (not part of the sq. ft.) No Mello Roos!! Low HOA! Walking distance to Solana Highlands. Hurry this is a rare find! Sold for $1,248,000. Best Location, Fabulous Lot and Terrific Floor Plan in Cantamar! Courtyard entry on quiet cul de sac w/sparkling pool and spa, lush gardens, & outdoor fireplace for the ultimate in outdoor entertaining! 4 bedrooms plus bonus room (bdrm/bath on 1st floor) plus 3 car garage. New carpet, beautiful tile, white cabinets and stainless appliances in the gourmet kitchen, spacious master suite w/ fireplace and walk in closet, lots of natural light, central air, copper pipes. And the best schools too! Sold for $1,237,500. Wow...the ultimate Spyglass home on almost 1/3 acre with it's own private pool and spa. This home is adjacent to the 123 acre Manchester Preserve with walking trails. Just imagine having your own private park as your backyard, tree house, surrounded by fruit trees, vegetable gardens, grape vines, and 360 degree views! 3 plus bedrooms (staged as 5 bedrooms), office, master bedroom with it's own huge view balcony deck, and a man cave (in garage)for sports enthusiasts. Sold for $1,199,000. Premier Location, Fabulous Lot and the Largest Steeplechase Plan in Carmel Country Highlands! Courtyard Entry on a Quiet Street with Impressive Approach and Curb Appeal. 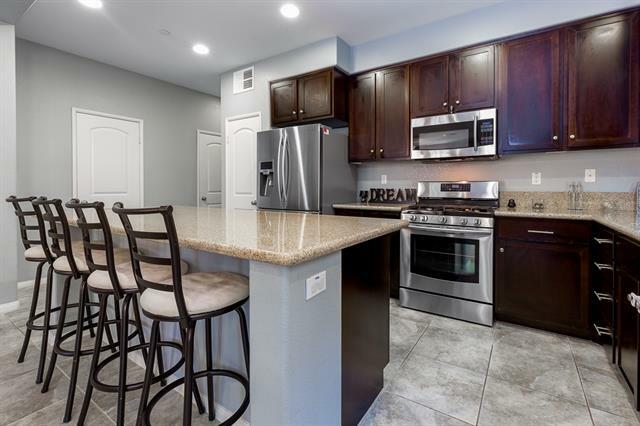 Designer Touches Throughout, with Extensive Use Hardwood, Custom Built-Ins, Crown Molding, Gourmet Kitchen Including Highly Upgraded Cabinets, Stainless Appliances and Granite Slab Countertops with Full Backsplash. Gorgeous South-facing Home Features 4 Bedrooms plus Spacious Loft. Acclaimed Del Mar Union & San Dieguito Schools! Sold for $1,190,000. PRICED TO SELL! DON'T MISS THIS ONE! 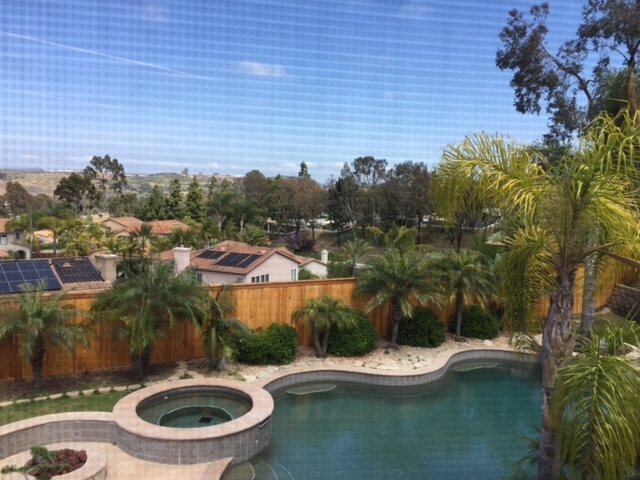 PREMIUM, WESTERLY, VIEW lot w/ SPARKLING POOL/SPA in desirable LA COSTA OAKS! 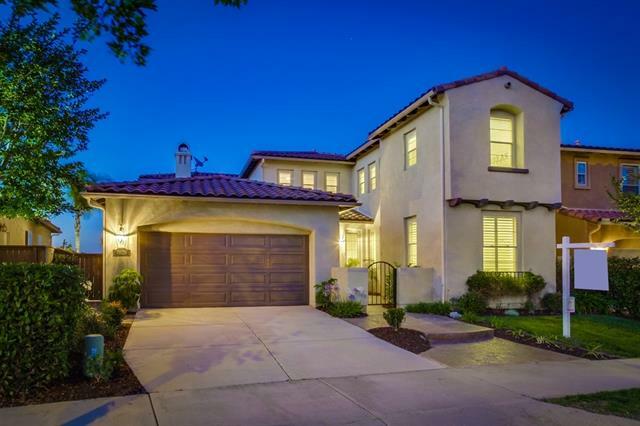 This stunning home features upgraded flooring, custom paint, dramatic architectural design, 2 fireplaces, granite kitchen counters, large, adjoining family room & more! Upstairs features 4 bdrms including a large master suite w/view balcony to enjoying the peaceful sunsets! There is also a bedroom suite on first floor & a home office w/custom doors! Backyard BBQ, pool/spa & lounging areas! Sold for $1,169,000. This 1940s Loma Portal gem is thoughtfully upgraded and immaculately maintained, offering natural light, an open floor plan, and views! This redesigned charmer lives like a single-level home and is perched high above the street. 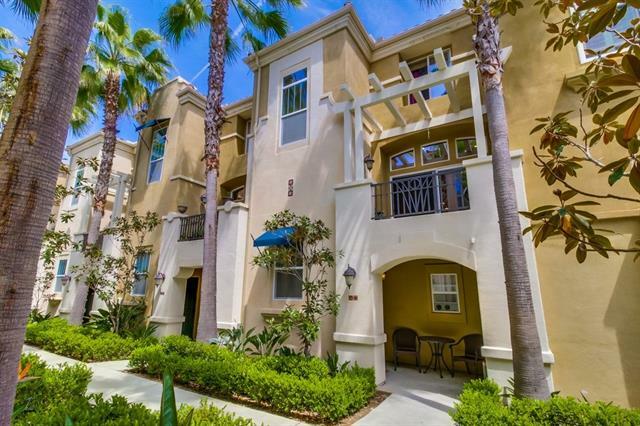 Saltillo tile staircase leads to your entryway and outdoor patio entertaining space – enjoy the magnificent evening sunsets and take in the coastal breezes while admiring the wonderful views of San Diego’s Downtown skyline, Coronado Bay Bridge, and upcoming July 4th fireworks. Sold for $1,085,000. 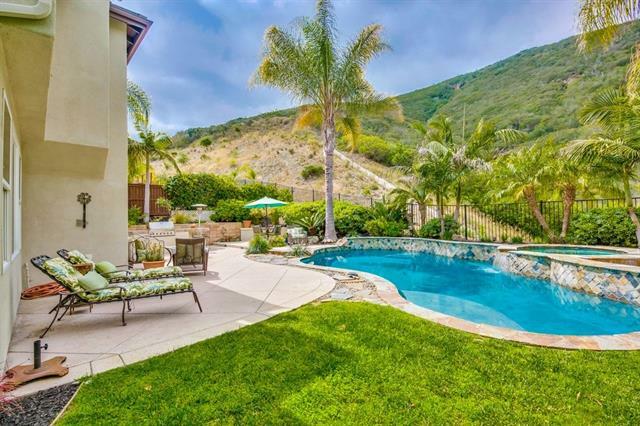 Exceptional single level home in Carmel Valley. This Heights Plan 1 has been lovingly taken care of and upgraded throughout. This home has beautiful light and space. An office has been added to the master bedroom with a flow-through fireplace. The backyard is spacious and quiet with a waterfall, two patios and plenty of room to garden. Sold for$1,070,000. corner lot w serene mountain views. Low HOA and no Mello Roos! Sold for $1,005,000. Tastefully updated Tides Plan 3 located in highly coveted west of 5 gated beach community. Situated on a private cul-de-sac, this adorable family home offers a very spacious kitchen with over sized island, open concept to living/family room with fireplace, dining room, and quiet courtyard and back yard spaces perfect for entertaining. Don't miss the essential first floor bedroom with full bath. 3 bedrooms including large master suite with walk in closet on second level. Life begins at Waters End... Sold for $993,000. Meticulously maintained beach retreat with ocean & racetrack views. Ideally located between Del Mar & Solana Beach, pride of ownership is evident in this model like home with coastal color palette & décor. Rarely available end unit with walls of windows is light, bright & airy. 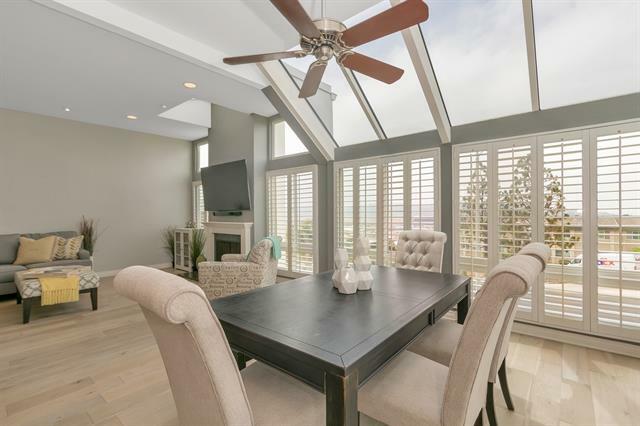 Situated on the highest street in the community, this home offers two master suites, open great room with high ceilings, gourmet kitchen, gorgeous engineered hardwood floors, plantation shutters, updated bathrooms. See supp remarks. Sold for $975,000. Almost 1/4 acre view lot in Evans Point. 4 bedrooms + Office (or Extra Room). 1 bedroom/ full bathroom downstairs. Office/Room is also downstairs. 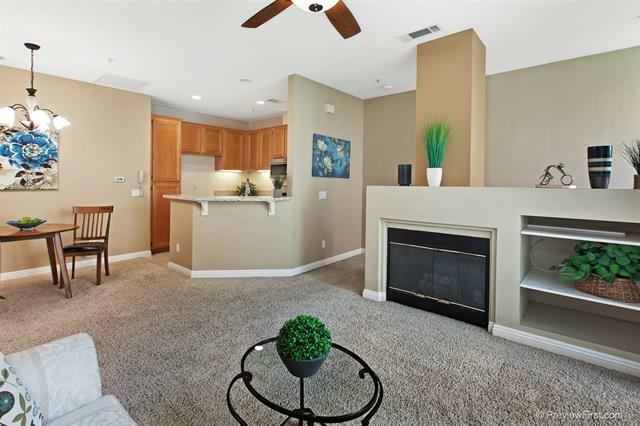 Open floor plan w/remodeled kitchen (Nov 2015) /great room combo. Wood flooring & Travertine stone is approx. 6 yrs new. Newly remodeled kitchen w/granite tops, cabinets, stainless steal appliances (Bosch double oven, Bosh Dishwasher, Bosh 5 burner stove top). Beautiful custom salt water pool/spa. Sold for $923,000. Updated executive home w private view lot! 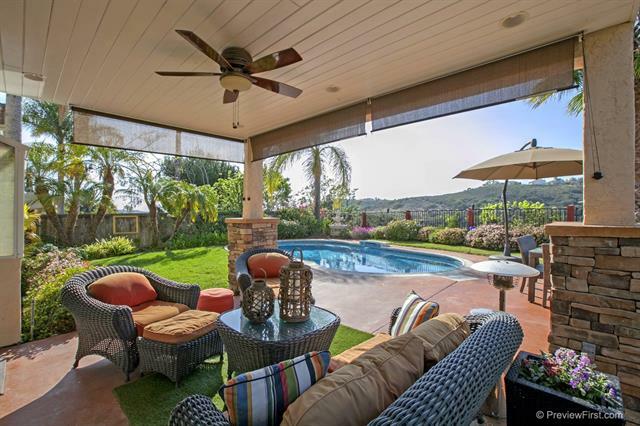 Lush back yard with covered California room and pool for relaxing and entertaining! Expansive sunny kitchen features granite counters, custom stone backsplash, center island and lots of cabinets. Elegant master suite w private viewing deck, remodeled master shower w separate tub, walk in closet. Downstairs office/bedroom with full bath. Highly rated PUSD. Walk to Park Village Elem and 10 min to Mesa Verde MS, Westview HS. No HOA and low Mello Roos soon to expire! Sold for $910,000. 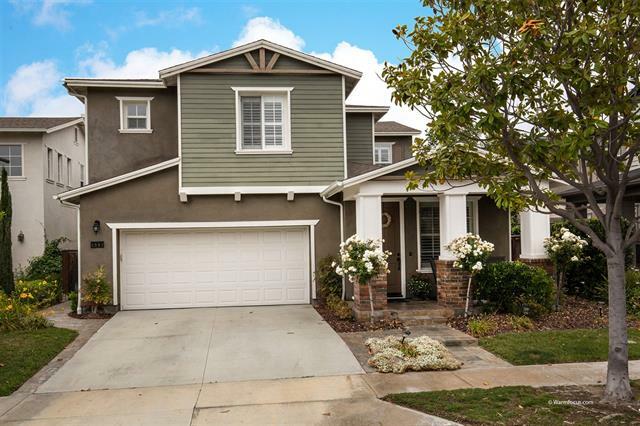 Beautiful home on quiet street in Bressi Ranch. Short walk to pool & parks. Well kept, turn the key & move in. Nicely upgraded with porcelain tiles downstairs & new carpet upstairs. Large kitchen with separate eating area, granite counters plus SS appliances. Bressi Ranch is a unique self-contained community with 2 pools, clubhouse, BBQ's, several parks & playgrounds plus restaurants & shopping close by. See CFR. Sold for $887,000. Nestled in the majestic community of 4S Ranch. This sunny, south facing home on a quiet cul-de-sac with a 1st floor bedroom & full bath. 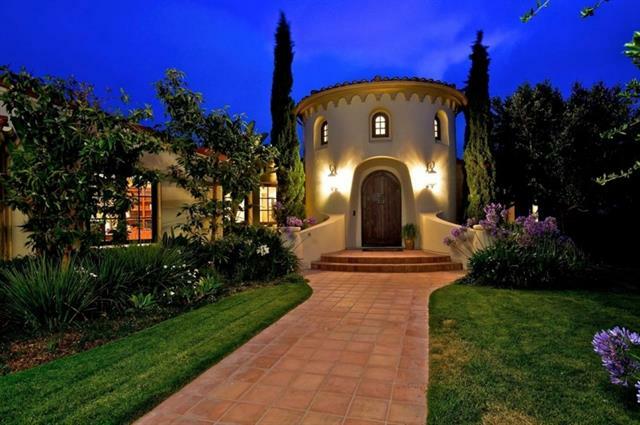 Newly remolded w/ exotic wood flooring, plantation shutters & crown moldings throughout. 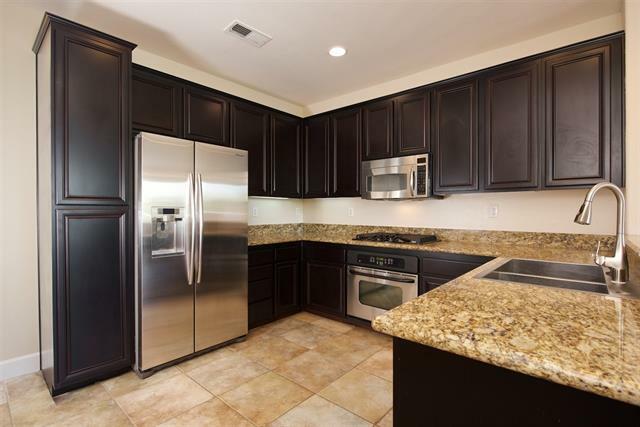 Gourmet kitchen w/ granite countertops & stainless steel appliances. Large master suite w/ jet tub & walk-in closet. Spacious loft/study area. Multi-room audio system w/ built-in speakers. Walking to Monterey Ridge Elem, Design 39 Charter, Del Norte High & park. Sold for $875,000. Gorgeous Tuscan-style home maximizes its panoramic mtn view! 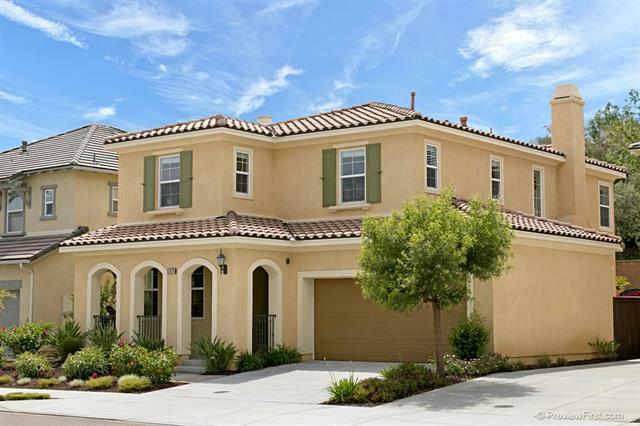 Premier cul-de-sac location in upscale Torrey Highlands. Gourmet kitchen: Italian granite, upgraded appliances & island. Desirable main floor suite with walk-in & full bath perfect for seniors/guests! Master suite with FP, balcony & 2 walk-ins. Soak in the view from the jetted tub! Bright loft w/built-in tech center. Outdoor living & great views year-round: lawn, patio, gas firepit & spa. Enjoy top schools, convenient fwy access & amenities. Sold for $859,320. 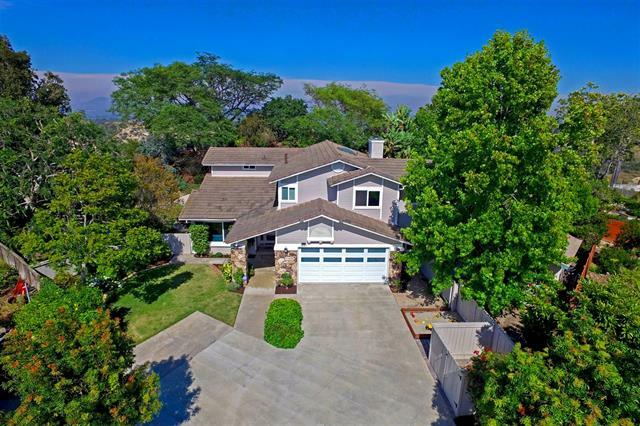 Highly upgraded single story on quiet culdesac in La Costa Oaks**Distressed Hardwood Floors, Granite Kitchen with Stainless Steel Appliances**Crown Moulding, Upgraded Cabinetry, Upgraded Bathrooms, Award Winning Schools, Community Pool, Close to Beaches and Shopping** Sold for $825,000. 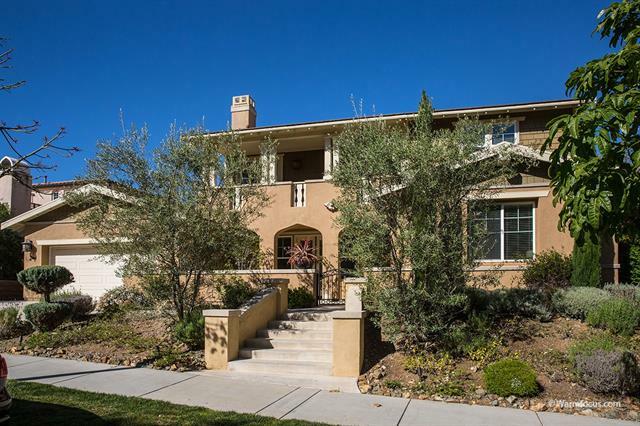 Come see this impressive 5 bed, 3 full bath home situated in the highly desirable gated neighborhood of Stone Canyon. It features a gourmet kitchen with center island, cherry cabinetry, & a beautiful fireplace. This home also includes a full bed & bath downstairs and a stunning custom office upstairs. A fabulous rear yard completes the home with a built in BBQ, a gorgeous pool & spa, and avocado, tangelo & pomegranate trees. The spectacular mountain & ocean views will take your breath away! Don't wait! Sold for $780,000. Stunning Estate on 2 acres w/ panoramic southeasterly views. 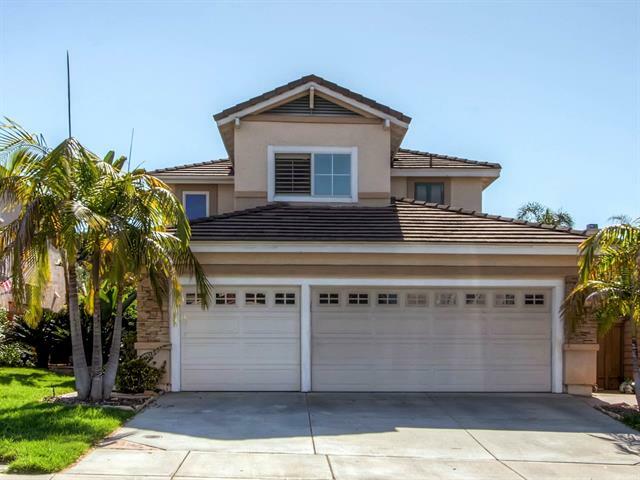 This semi custom home boasts 4 car garage, 4 beds/4.5 baths, +bonus room. Gourmet kitchen w/center island, granite counters w/ custom backsplash, & stainless steel appls. Expansive master suite w/ view balcony, custom walk-in closet, granite counters, soaking tub, & dual sinks/vanities. Property boasts mature landscaping, charming gazebo, various fruit trees, covered patios, lush grass area, etc. See 3D & virtual tours for more details. Sold for $775,000. Welcome home to this Sabre Highlands location on a cul-de-sac street! Entertainers backyard, large, open and backs to an easement. Additional highlights include complete bonus room upstairs, all new carpeting in the bedrooms, new stove, wood floors downstairs. This is an open and ready floor plan for you. With fantastic sabre springs amenities, access to commuting, parks, walking and hiking trails, this is an awesome opportunity to own a great home! Sold for $765,000. 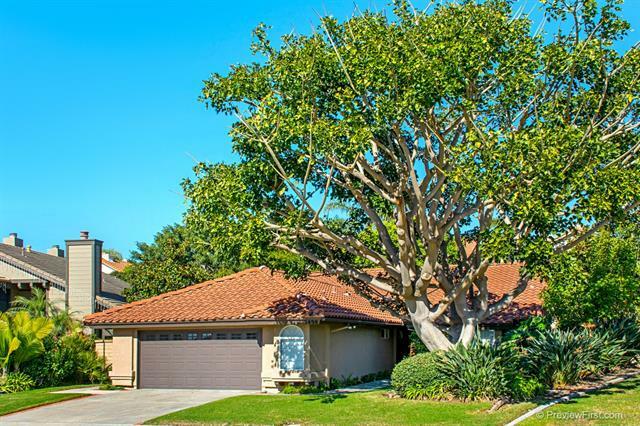 Prime location in highly sought after community of 53 Melrose, one of Carlsbad's best kept secrets. The beautiful 4 bed/3 bath offers open floorplan & designed to make use of every inch of the 2411 sq ft. The kitchen boasts granite counters, eat-at center island, stainless steel appls, & flows seamlessly to the family room w/ fireplace. The Master Suite offers dual sinks/vanities, granite counters, & walk-in closet. Convenient upstairs den and laundry room with sink & storage.See below for more details. Sold for $755,000. 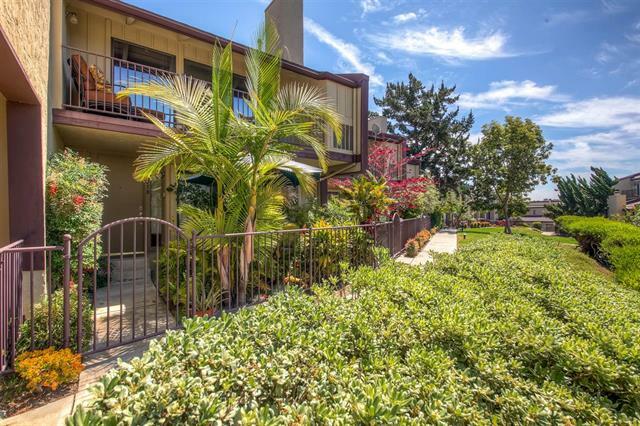 Gorgeous west-facing townhome in a premiere location. This light and bright corner unit features an elegant LR/DR with vaulted ceilings and cozy fireplace, upgraded kitchen, beautiful master suite with walk-in closet, dual vanities and soaking tub, and outdoor patio with westerly views. Chateau Village boasts resort-style living with its community pool, tennis court, and private work out room and high walkability to all the shopping, restaurants and entertainment. See Supplement for more details. Sold for $720,000. 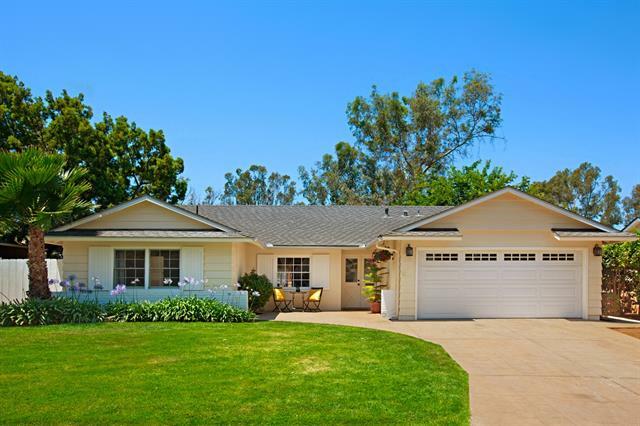 Single story, 3 bed sits beautifully on the 2nd fairway with westerly golf course views! (441 sq. ft) lg. enclosed sunroom used as a family rm makes this home 1,979 sq. ft livable! 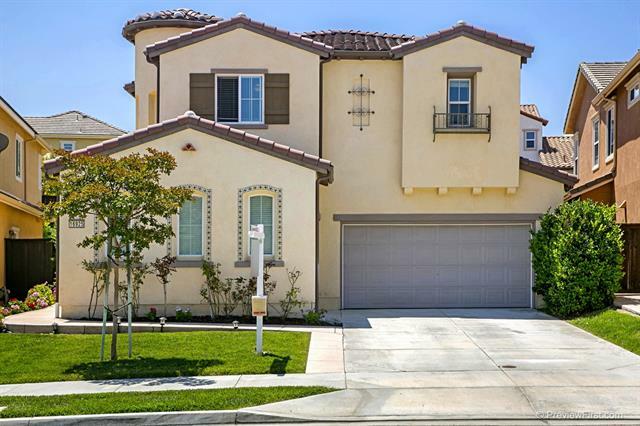 Light & bright with sky lights, stainless steel appliances, large entertaining kitchen island, granite counters! farm sinks, travertine & more!The community features: 2-Pools, Tennis Courts, recreation area, Lake and Lodge-Golf Courses, Country Club, Restaurants, Shopping, Community Center, Social Clubs and more! Great Schools! Sold for $669,000. Charm and style exude from this single story home! Features include wide plank wood flooring, lovely kitchen with beautiful counter top & backsplash along with newer appliances, high ceilings, new windows and sliding glass doors, upgraded baseboards, cozy wood burning fireplace, spacious master bedroom with stunning master bath. Outside enjoy a front and interior courtyard and backyard with plenty of room for kids or pets to play. This one is not to be missed!! Sold for $650,000. A modern home, nestled within a historic setting. This efficient floor plan offers 3 bedrooms, 3 full bathrooms, attached 2-car garage. Home has only been owner occupied and loved by 2 lucky families, no renters. Warm designer-inspired colors and selected upgrades. Ceiling fans in all bedrooms. Appliances convey with sale. Recent upgrades include newer dishwasher, water heater, washer. For homeowners lucky enough to live here in Liberty Station, this IS the quintessential San Diego coastal lifestyle. Sold for $610,000. Rare single story remodel! Expanded family room addition for large family gatherings. Fireplace in LR & custom stone fireplace in FR. New carpet & baseboards throughout. New recessed lighting in kitchen & upgraded light fixtures throughout. Solid surface counters, updated appliances & new microwave in the kitchen. Light & bright w vaulted ceilings. AC, newer water heater & fencing. Low maintenance, drought tolerant landscaping. 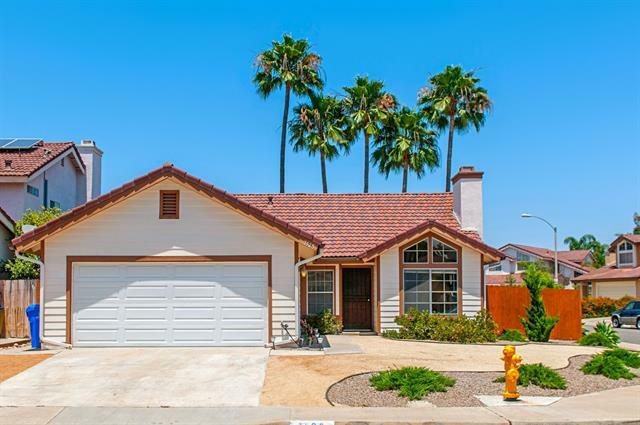 Centrally located w easy access to freeways, businesses, shopping and beaches! Sold for $600,000. Bring your wish list! 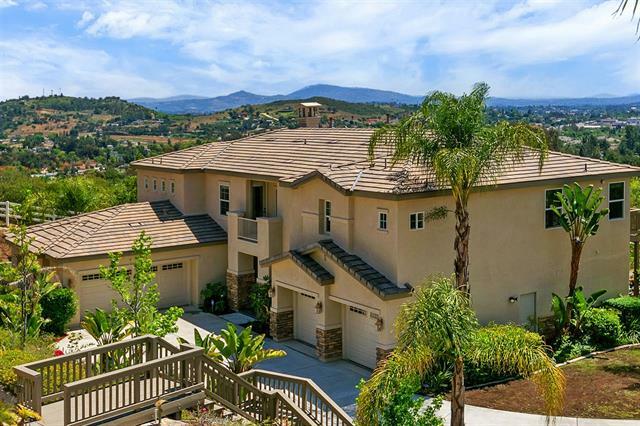 Private sanctuary in the hills of San Marcos! The great room opens to a relaxing drought tolerant yard. Pick your own veggies and herbs from the raised side garden. Walk to the brew pubs or play in Sunset Park. Located on a corner lot facing open space, this home is trimmed out with many upgrades- granite, cherry cabinetry, recessed lighting, wood and wrought iron railings, high ceilings, tile flooring, crown molding, wood blinds, ss appliances, bead board. Sold for $569,000. 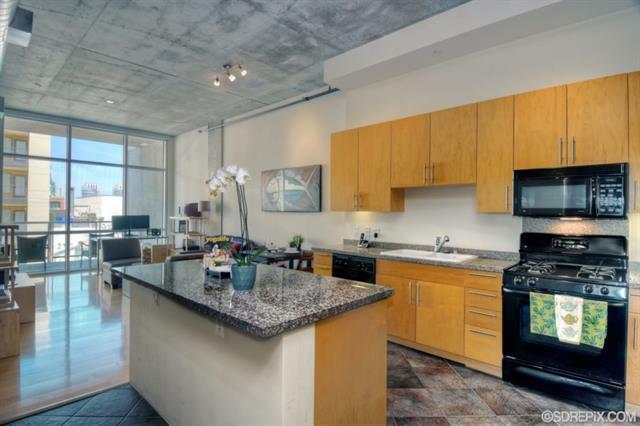 This hip urban steel and concrete contemporary has 2 bedrooms and 2 bathrooms with 11 ft. ceilings and floor to ceiling glass windows and is located in the highly desirable ballpark area of East Village. Upgraded maple wood flooring throughout living areas and bedrooms. Kitchen and bathrooms have granite counters and tiled floors. Both bedrooms have walk-in closets. The patio is extra large and west facing. Low HOA dues. Includes one parking space. Must see! Walk to everything Downtown has to offer! Sold for $525,000. 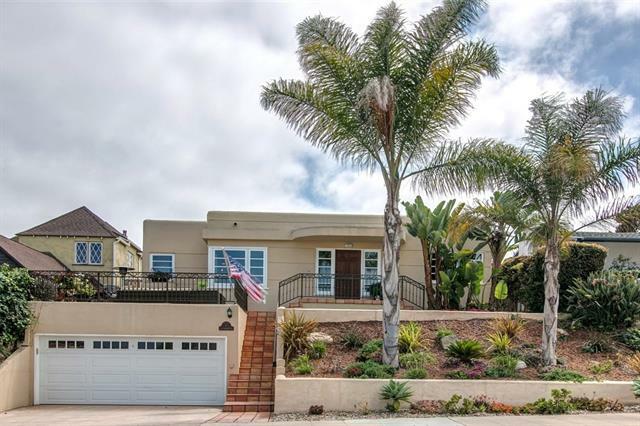 Ocean Views from this Carlsbad Crest Home. Front Row Location of Complex. New Tile Entry. Open Spacious Floor Plan with Dramatic Fireplace! Large Kitchen / Dining Combination. Newer Appliances. Quaint Patio has room for Outdoor Dining and BBQ. and is Surrounded by a Large Grassy Area with Blue Ocean Views! Home Shows Very Light and Bright. Second Level offers 2 Spacious Bedrooms, One with Fireplace! 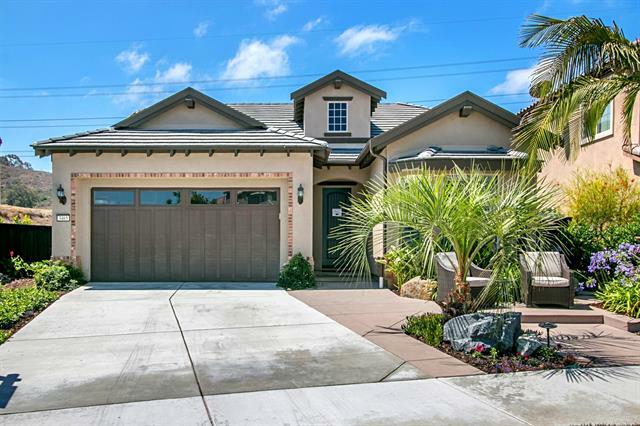 Convenient Attached Garage make this Ocean Close Home a Must See. Sold for $520,000. Beautiful sunny and bright 2bd/2b en-suite Bankers Hill on the first floor from the Laurel Bay front entrance has a distant view of the San Diego bay and downtown. All S/S appliances, including w/d, dishwasher, stove and fridge. Gas log fireplace, sunny porch and bay windows add additional charm. 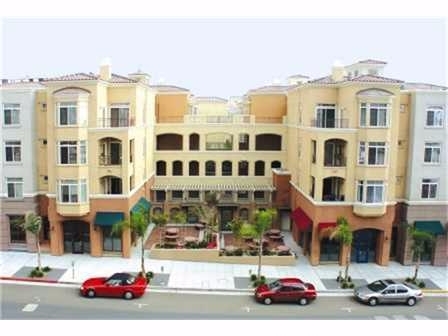 Only one block to Balboa Park, the condo is centrally located and close to Downtown. A home sweet home! Sold for $515,000. Fabulous upgraded town home end unit w/serene views! Kitchen w/granite counters, brand new carpet, living room w/ gas log fireplace & picture windows, two-car garage w/separate laundry room, 3 private patios/decks, & central air conditioning. Wow! 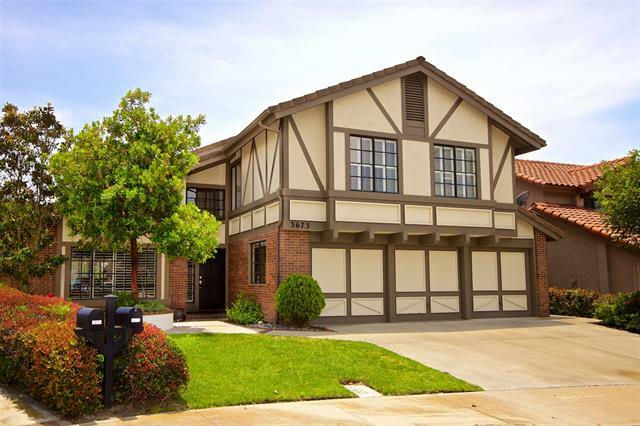 All located in highly desirable Bernardo Heights w/cul de sac location. Sold for $509,000. 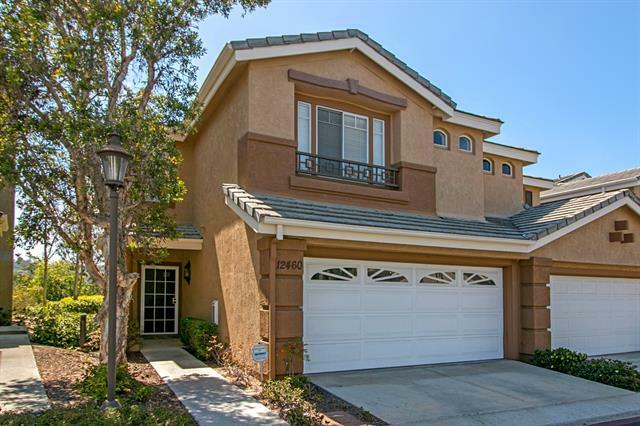 Must see this Contemporary La Costa split level 2 bedrooms 2.5 baths Town Home. 1 Bedroom and full bath on entry level. Spacious and open updated kitchen with cherry cabinets, granite counter tops, travertine tile and track lighting. Off the kitchen there is an extra room for storage/office with 1/2 bath. Both bathrooms have been updated with tile showers, light cabinets and travertine tile. 2 car garage. HOA dues $345. No mello roos. Sold for $426,000. 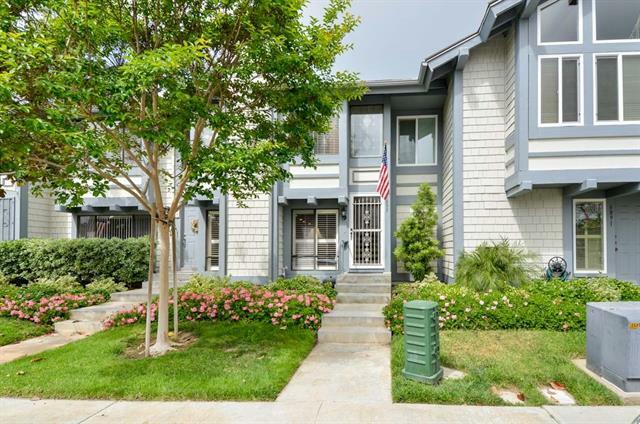 Beautifully upgraded 2 bedroom 2 bath (move-in ready) 2 story townhome with a fireplace in Carmel Mountain Ranch area. Open floor plan with lots of natural light throughout. 2 car attached garage and balcony off the dinning room. Granite counters and stainless steel. Central air conditioning. Fullsize side to side washer and dryer upstairs. Community pool, spa, fountain, and lush greenbelt. 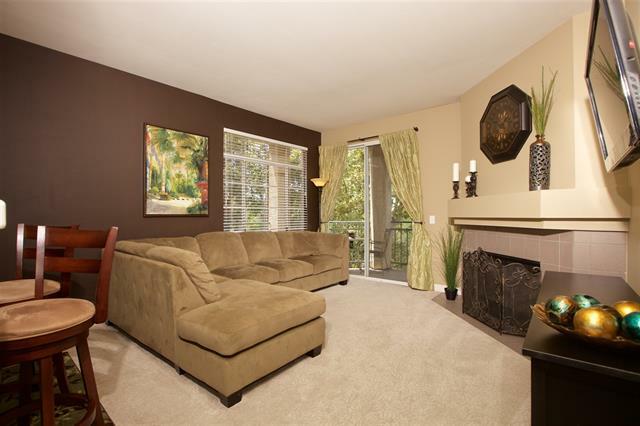 Minutes to fwy, shopping, library, fitness clubs, movies, and restaurants. Sold for $415,000. Gorgeous Treviso Townhome! This beautiful, move in ready home offers a well appointed kitchen with granite counters and stainless appliances. The kitchen opens to a spacious family room with wood floors, ideal for entertaining. The bathrooms have been lovingly updated with quartz counters, and designer tile backsplash. 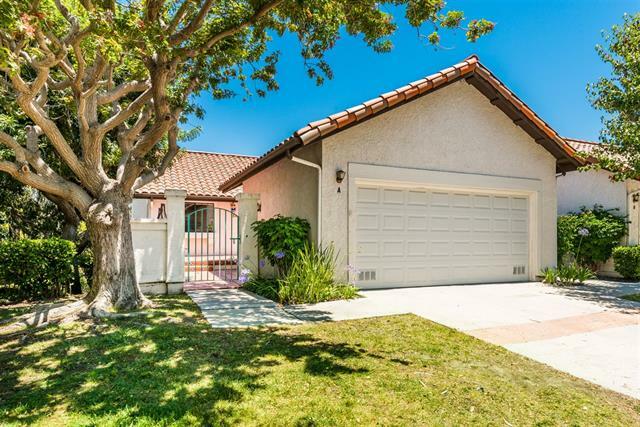 This home has it all, including easy freeway access, abundant shopping nearby, and great access to Mission Trails Regional Park and Cowles Mountain. Don't miss this great opportunity! Sold for $410,000. 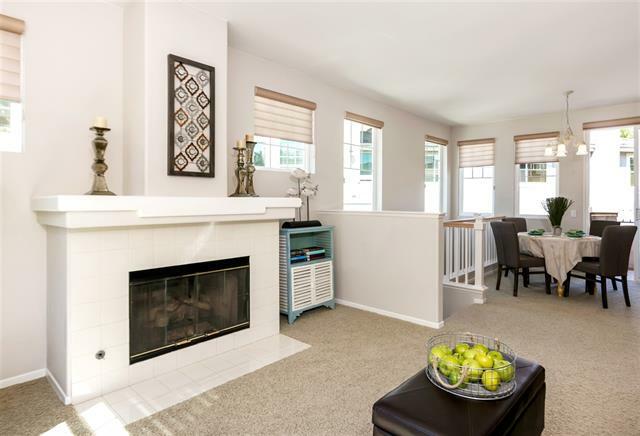 Lovely Oaks North 55+ community - Single story w one shared wall, feels like a detached home. Kitchen has beautiful tumbled stone backsplash, new granite, SS appliances. New porcelain tile flooring, updated lighting fixtures, baseboards. Complete w central AC, cozy fireplace, one-car garage. Oaks North Community center has many amenities including lighted tennis courts, heated pool, spa, club house, lawn bowling and more! Close to Oaks North Golf Course, RB Inn, RB Winery. Sold for $429,000. Welcome to the highly desirable Senior Community of Emerald Lake Village with their Cape Cod style homes and gated entrance. 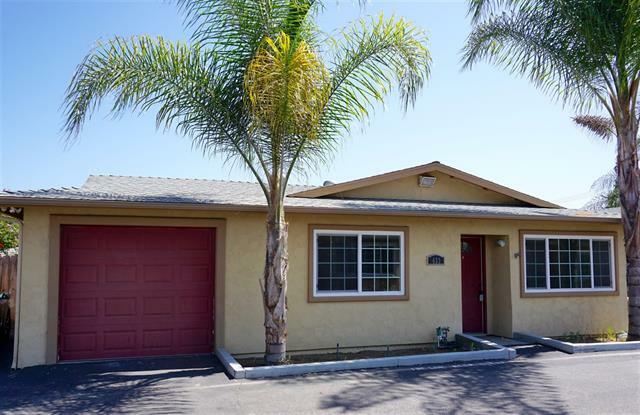 This 2 bd 2 bath home is Plan 3-L which is the largest model of 1762 sq ft and is located on a cul-de-sac lot and extremely quiet. Community offers green belts, club house, pool & spa, RV parking and lots of clubs. The homes in this community are manufactured homes on permanent foundations and are on the property tax rolls. Homeowner owns the property. Sold for $405,000. Stunning Townhome that truly feels like your very own detached house. Open Kitchen Layout, Very spacious, High Ceilings, upgrades includes granite countertops, tile flooring, plus many more tasteful details. 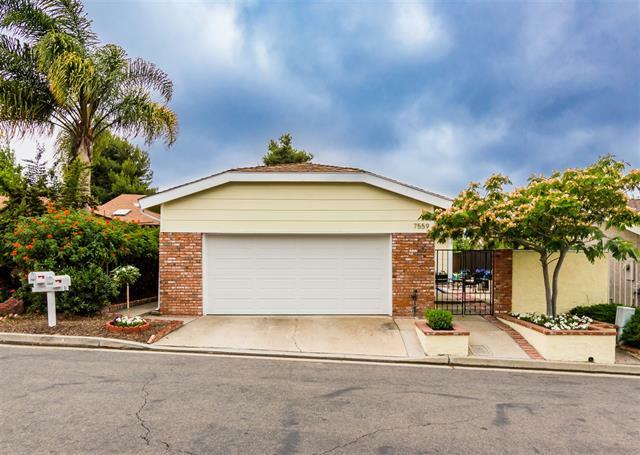 Located in the heart of the highly desirable community of Otay Ranch, this property has it all. Nice sized patio, perfect for bbq, or walk on over to the newly built resort style amenities including, pool, kids pool, spa, fitness center, bbq & fire pits... Sold for $405,000. Shows like a model! Move in ready with beautiful white galaxy quartz counters, new SS appliances, upgraded baseboards, mirrors and lighting! Living area has vaulted ceilings, balcony and cozy fireplace. Full size laundry closet in unit and a generous 1 car attached garage! Central A/C and ceiling fans in all rooms. One of the best locations in the Altura complex with no road noise and lots of parking for guests. 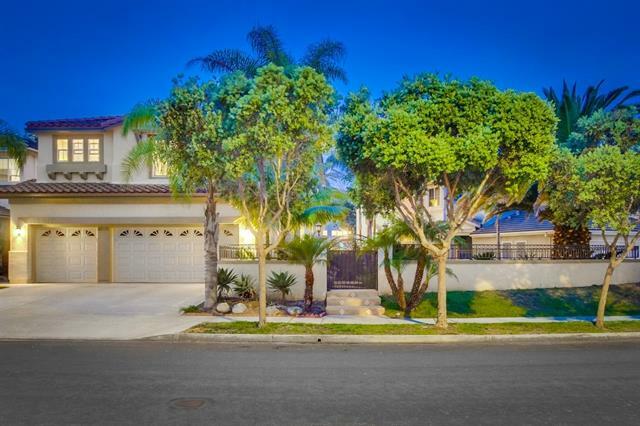 Convenient to schools, freeways, parks and shopping. Sold for $392,000. San Diego River Views! Move in ready, corner end unit in the attractive and desired River Colony. Walking paths and easy access to everything fun in Mission Valley. Gated and secured building with underground parking. Large Master bedroom and master bath. Balcony overlooking the the beautiful riverfront. A great place to live and call home! Sold for $385,000. Detached home for the price of a condo! This updated home features a large kitchen w/ granite counters, stainless appliances & a glass tile backsplash. The home has been freshly painted, has plush new carpet, a large newer A/C unit, & ceiling fans throughout. Attached one-car garage w/ access to the private yard, plus a second adjacent assigned parking space. The private backyard is a small oasis w/ newly installed artificial turf! This is a great gated community and it's kid friendly. FHA/VA welcome! Sold for $345,000.